At Walmart, we are grateful for the sacrifice our nation’s veterans, military men and women, and their families have made in service to our country. It is our duty and our honor to support our military not only when they are in uniform but also when they transition to civilian life. We are committed to helping these men and women as they face this important period through job opportunities, as well as support for programs that provide the job training, reintegration support and education. On Memorial Day 2013, Walmart introduced the Veterans Welcome Home Commitment, which guaranteed a job offer to any eligible, honorably discharged U.S. veteran who was within 12 months of active duty. Our initial goal was to hire 100,000 veterans by the end of 2018. In May of 2015, Walmart announced the expansion of that original projection, with the goal of hiring 250,000 veterans by the end of 2020. We also changed the eligibility from within 12 months of active duty to any veteran honorably discharged since we announced the commitment in 2013. Since Memorial Day 2013, Walmart has hired more than 200,000 veterans, and more than 28,000 have been promoted to roles of greater responsibility. These projections and reported hires/promotions include veterans hired under our original and expanded commitment as well as other veterans hired by Walmart in this time frame. 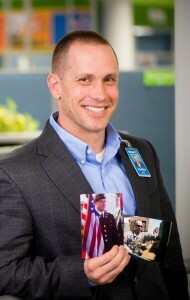 Veterans can explore career options with the company at walmartcareerswithamission.com. Whether through career fairs, recognition campaigns, entrepreneurial support or company policies, Walmart seeks to demonstrate the value veterans bring to the workforce and to our communities. 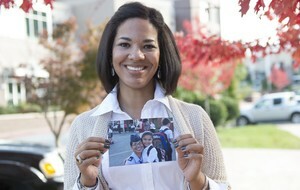 Hiring Our Heroes —Walmart participates in the U.S. Chamber of Commerce’s Hiring Our Heroes program. Walmart, Sam’s Club and other employers have recruited tens of thousands of veterans through hundreds of Hiring Our Heroes’ career fairs. Coalition for Veteran Owned Business — As a founding member of the Coalition for Veteran Owned Business, Walmart is committed to help the organization grow and support veteran owned businesses in communities throughout the U.S. The Coalition provides economic opportunity to veterans, their families and the communities in which they live by offering leadership and a national platform to support military spouse and veteran-owned businesses, entrepreneurs and suppliers. Greenlight A Vet — In 2016, Walmart celebrated the second year of Greenlight A Vet, a campaign that seeks to establish visible national support for our veterans by changing one light to green. Military Family Promise —Walmart guarantees a job at a nearby store or club for all military personnel and military spouses employed by the company who move to a different part of the country because they or their spouse have been transferred by the U.S. military. Military Leave of Absence (MLOA) — Since 2008, Walmart has offered differential pay to associates taking a leave of absence for specific military assignments lasting more than three days and through the duration of leave. This means that if an associate’s military salary is less than what they are making at their job at Walmart, the company will pay them the difference while they’re on MLOA. In May, Walmart announced enhancements to this policy to include any eligible military assignment, including basic training, allowing associates who are considering enlisting in the Armed Forces to do so without fear of losing wages. In 2011, Walmart and the Walmart Foundation recognized that opportunity sometimes isn’t the only challenge facing transitioning military families. Therefore, the company committed $20 million by 2015 to support veterans and their families with assistance for programs that provide job training, transition help and education. With the early completion of the commitment in May of 2014, Walmart and the Walmart Foundation renewed the commitment, announcing an additional $20 million through 2019 to support job training, education and innovative public/private community-based initiatives that address challenges many veterans face when returning to civilian life. Boston University School of Medicine —Through the Women Veterans Network (WoVeN), BU clinicians and researchers will lead a 5-year initiative to establish a nationwide network of structured, trained peer-facilitated, 10-week support groups for female veterans to enhance wellness, quality of life, family relationships and referrals for additional services. In 2017, the Walmart Foundation awarded a $469k grant to BU to support the establishment of the WoVeN initiative which, when completed, will have served ~2,500 female veterans. The Henry M. Jackson Foundation for the Advancement of Military Medicine, Inc. — Center for Public-Private Partnerships (CP3): In 2015, the Walmart Foundation awarded a $500k grant to support The Veterans Metrics Initiative (TVMI): Linking Program Components to Post-Military Well-Being study. This five-year study will assess the well-being of 7,500 veterans 90 days prior to separation from military service to within three years thereafter, and document and analyze the components of the transition and reintegration programs the veterans report that they use. Institute for Veterans and Military Families (IVMF) at Syracuse University — IVMF launched the AmericaServes initiative in 2013 to streamline and digitally connect veteran services available in communities and create the nation’s first coordinated system of public, private and non-profit organizations. Building off of a $1 million Walmart Foundation grant awarded in 2015, the Foundation granted an additional $5 million to support the ongoing implementation of existing AmericaServes communities and seed planning investments in New York, the Carolinas and Texas. Mission Edge San Diego Zero8Hundred (z8h) — z8h connects transitioning military families to a broad range of resources in the community, helping them successfully transition to civilian life. In 2016, the Foundation awarded $250k to support the expansion and enhancement of z8h programs over a two year period, allowing the organization to meet increased demand for services. American GI Forum National Veterans Outreach Program, Inc. (NVOP) — provides veteran outreach focused on female veterans, military spouses and underemployed or unemployed veterans. Blue Star Families — bridges the gap between military family communities and the general public through partnerships that provide free resources, services and opportunities to military families. Goodwill Industries International — provides job training and workforce development for veterans through Operation: GoodJobs. Hire Heroes USA — highly-trained Veteran Transition Specialist offers personalized career coaching to U.S. military members, veterans and spouses. Swords to Plowshares — offers needs assessment and case management, employment training, housing and legal assistance to veterans in the San Francisco Bay area. Tragedy Assistance Program for Survivors (TAPS) – offers compassionate care to all those grieving the loss of a loved one who died while serving in the Armed Forces or as a result of his/her service.